Watch the Intro Lesson and record the Sample Commercial Script. I'll evaluate your performance mp3 for free. * What's working for you-don't change this! * What needs improvement - how to fix it! But only for a LIMITED TIME! Want a Voice Over Career but Not Sure Where to Begin? FROM the LOS ANGELES Area? ...and I've been performing, directing, and teaching Voice Over Classes in Los Angeles for over twenty years. 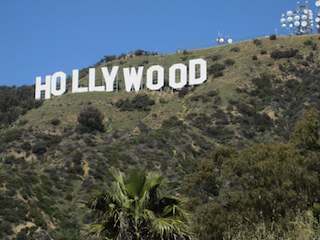 Until recently making money in voiceover has been limited to folks who live in Los Angeles and New York. There are opportunities in other ares such as Chicago, Atlanta, Nashville, Houston, Seattle, San Francisco, and Orlando. But if you lived in, say, Deer Lick, Kentucky... well, that's not exactly a hotbed of voiceover activity. But the times they are a-changin' Now with personal computers, digital recording and the internet, the voice over market around the world has opened up to anyone with the talent, skills and drive to pursue it. Now you don't have to be there to do the work! You can have clients across the U.S. They email you the script, you perform the job in your home studio, upload the files and invoice them. And they Paypal you the money! And opportunities exist for voice-over in Commercials, Animation and Narration plus new media such as Video Games, Digital Video and the Internet. You Can Work from Home and Make a Gazillion Dollars? Hold on, partner! Voiceover work is an exciting career but you need training to develop professional voice-over skills to participate effectively in this industry. You often have just a few moments to interpret copy in an audition or a job. So How Can You Learn to Perform Professional Voice Overs? I teach voice over classes in Los Angeles and I can tell you, if you want to learn to master the skills of a voice over talent, there is nothing better than one-on-one training with a professional voice over coach. But I've searched the internet for voice over classes, workshops and coaching and I was surprised to find there are very few voice over teachers outside of the Los Angeles area. So I asked myself the question "How can I take my coaching experience and make it available to voice over talents across the U.S.?" I've always been told that I have a good voice and I finally decided to seriously give voice over a try. I realized that it isn't as simple as I thought. There's a lot of technique you need to give the client what they want in an audition or a job... these classes gave me the tools and the confidence I needed to succeed. I know I can help talent across the country with my Online Voice Over Training. But it has to be done right. A voice over class is personal. In it you develop trust in the teacher and respond to the instructor's feedback. And a voiceover class is hands-on. You have to read copy, record it, listen back, evaluate the performance, make improvements and then do it again. Guided practice will make perfect. But you need to clearly understand what you are trying to achieve to make real progress. The Are the Skills the L.A. Pros Use! 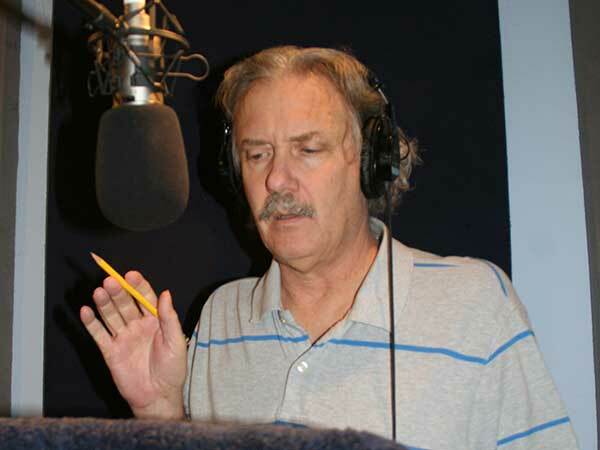 I teach the same concepts that I cover in my Aliso Creek Voice Over Classes in Burbank, California. I don't hold anything back. If you take the entire series of classes you'll know all of the same techniques, tricks and tips that the industry's best talent use when they audition and perform. So if you're serious about becoming a world class voice over performer, join me as I reveal all you need to know to compete with the best! I need to hear an example and try it myself before I get it. You explained each skill in detail and then let me hear each spot. I learned a lot. Keep 'em coming! But Don't Take My Word On It... Try My Introductory Class for FREE!! You can try my introductory class for free. In it I explain the world of Narration, Commercial and Animation voiceover and how you can participate in this career. Then I have YOU light up that mic and read a commercial spot as I guide you through how to make your read really pop and stand out from the rest. Then Step Up to My Online Voice Over Classes! Then you can purchase each of my voice over classes one at a time. You can study at you own pace! Once you register for a class you can view it as many times as you wish. So you can go back and brush up on concepts you need to strengthen. Or do a quick overview of all the tips and techniques. I've put 20 years of teaching and coaching experience into these lessons and I want to pass on that knowledge and expertise to you. So give it a try. You'll be glad you did! Very complete. Step by step. I learn more each time I listen. Interested In Online Voice Over Classes? Try the FREE Intro Class! You can watch this class NOW! I review the Narration, Commercial and Animation opportunities. And then I coach you through performing an actual commercial voiceover.